This article series will step you through the process of creating a 2D Flash game using Flex, with the result being a complete game in the style of the old school top down shooters. To get started you will first need to download the Flex 3 SDK from https://www.adobe.com/products/flex/flexdownloads/. The SDK contains all the tools you will need to compile the source code presented here into a SWF file that can be added to a web page. You will also need a decent text editor. 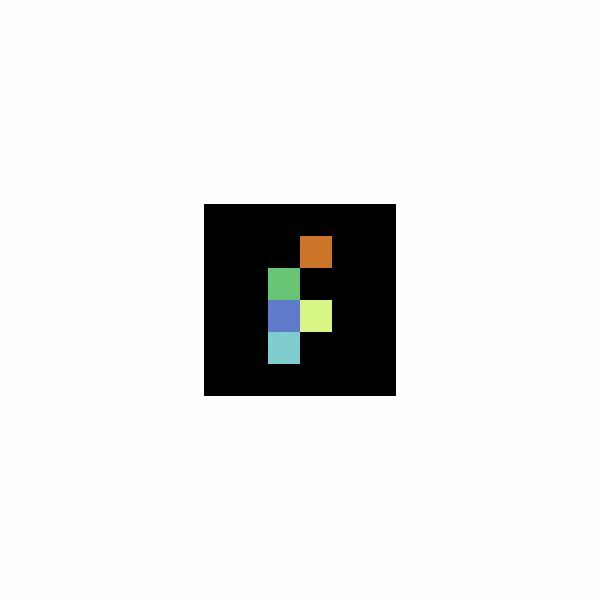 I quite like Textpad, which can be downloaded from https://www.textpad.com/. 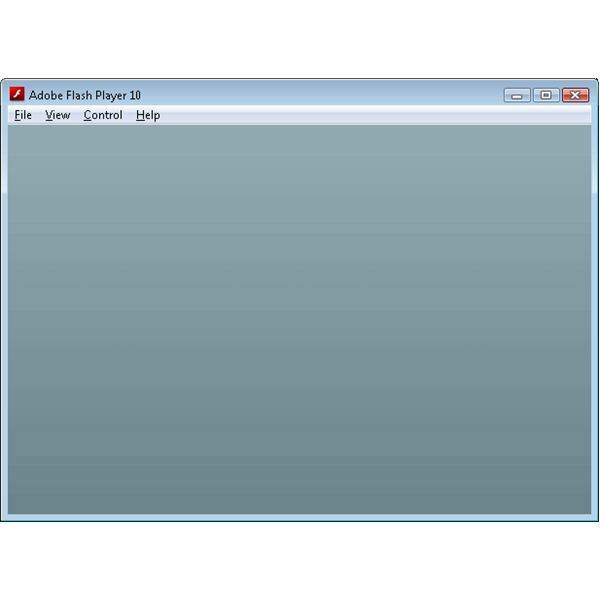 Finally you will need to download a Flash debug player from https://www.adobe.com/support/flashplayer/downloads.html. The debug player will allow you to open up a SWF file directly without having to create a web page to contain it. With these three tools you are ready to start coding. The graphics used in the game are courtesy of spritelib, which you can download from https://www.flyingyogi.com/fun/spritelib.html. Conceptually Flex splits up an average program into two sections: the GUI and the Actionscript code. The GUI is created in an MXML file, which is an XML file that contains user interface elements nested in tags very similar to HTML. Note that the MXML file can contain Actionscript code inside an mx:Script tag, but the main focus of the MXML file is to define the user interface. The top level tag of an MXML file is the mx:Application tag. This Application object is the entry point of the Flex application, and is the most logical place to start. We start by defining some of the properties of the Application object. These properties can be set through attributes in the mx:Application tag. This should look familiar to anyone who has written HTML. Specify the screen size of the program in pixels. Specifies a limit on the frames per second. The default is 24, but since we want the game to run as fast as possible it’s best to override this with a much higher number. Note that just setting the framerate to 100 doesn’t guarantee that the frame rate will always be 100 (or even get anywhere near it). This property just sets a ceiling on what the frame rate could be. Attaches a function to be called when the Application has been created. We use this as the entry point in the program. Attaches a function to be called every time the screen is redrawn. We will use this to repaint the screen with the next frame of the game. The mx:Script tag gives us a place to write some Actionscript code. The [CDATA[ ]] tag just means that any special characters inside the mx:Script tag will be interpreted as text rather than XML characters. Inside the mx:Script tag we need to add the two functions which match the values for the creationComplete and enterFrame properties. 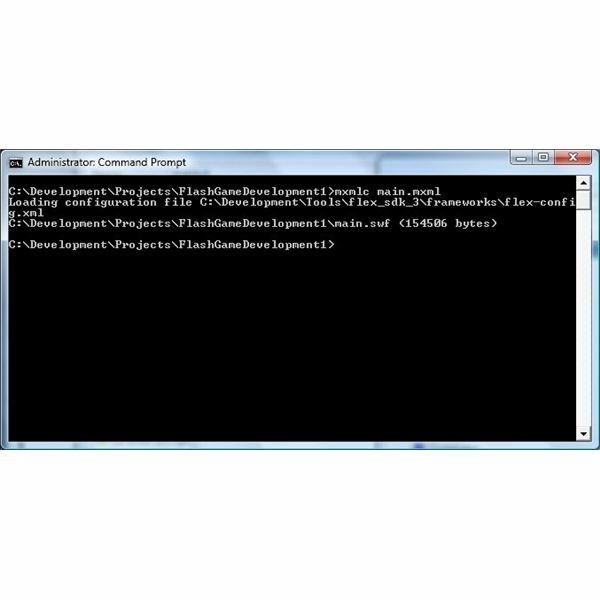 To compile the program you need to run the command mxmlc main.mxml from the command prompt. You can then open up the resulting main.swf file in the Flash debug player through File->Open. And the end result? A blank screen that does nothing. Not terribly exciting I’ll admit, but it is a start. We will build off this code in part 2 of the series to start drawing to the screen. This tutorial series shows you how to use the Flixel ActionScript game engine to create a simple platform game.